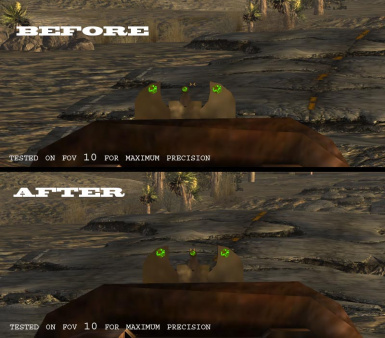 This mod fixes the misalignment with two hand rifle ironsights and crosshair. This mod is tested at FOV10 and tested for headshots to be precise. Thanks for MadCat221 at Beth forums for bringing up the issue and requesting for a fix.